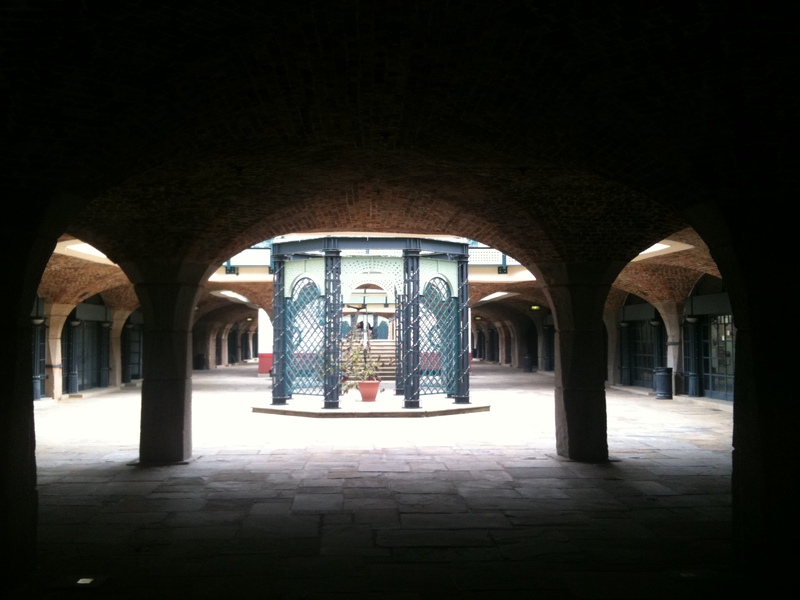 This entry was posted in Archaeology, Architecture, Boats, Food, History, Journalism, London, Nostalgia, Recession, Secret London and tagged News International, Terry Farrell, Tobacco Dock, wapping. Bookmark the permalink. Our office Christmas party was held there last year; regretting that I didn’t go now. 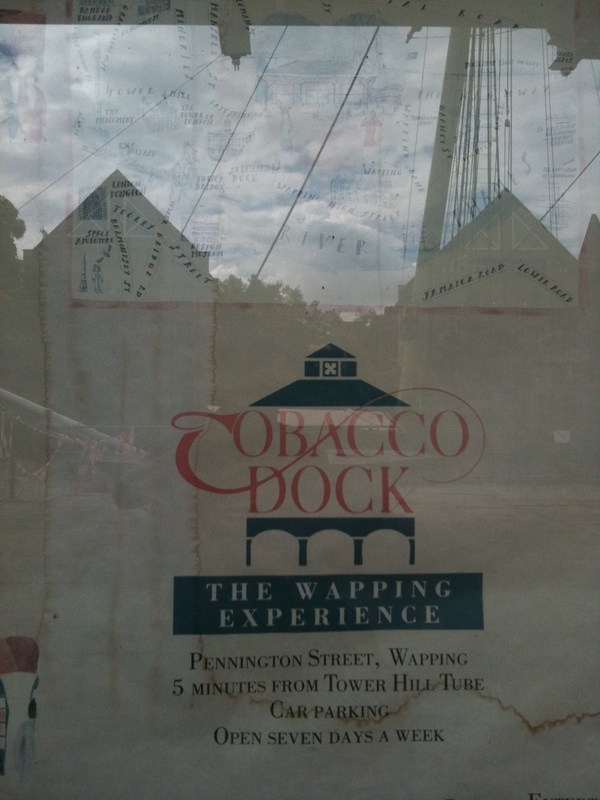 In the mid-1990s I met two Danish tourists in East Smithfield who were trying to find Tobacco Dock: their guidebook, apparently written in anticipation of the place taking off, and before its failure, had recommended it strongly. They were very disappointed when I told them there was nothing to see. Great article. I used to walk past it quite often and enjoyed watching it die (in a rather ghoulish kind of way). As you say, it’s almost impossible not to see it as a symbol of something. Will go and have another look if I’m around those parts. Tobacco Dock was relaunched last October as an events venue and has hosted over 50 events since including conferences, exhibitions, fashion shows, film premier after-parties, awards dinners and food festivals. It may have had a sad past, but we hope that marketing the amazing, historic space for event use will ensure a successful future and preserve the Grade 1 listed building. Great article. 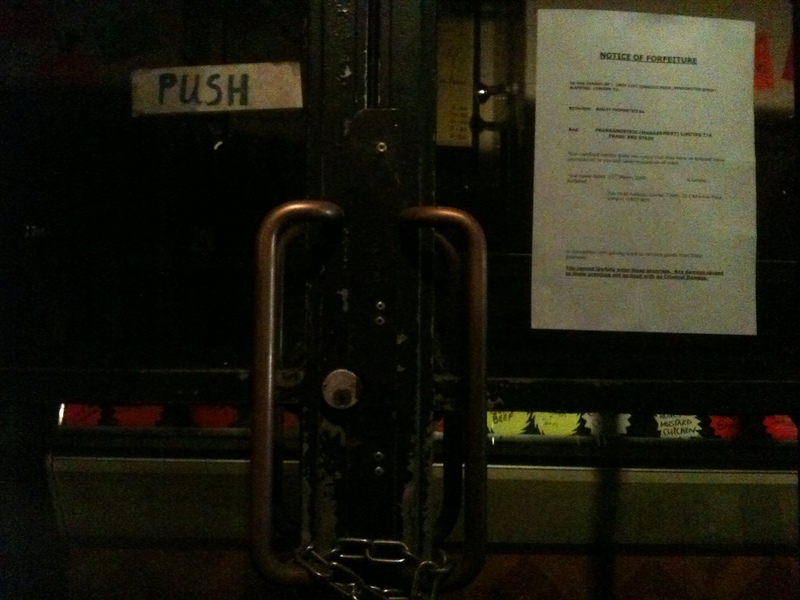 It perfectly captures the sense of faded optimism and life that dead spaces have. I find these places irresistible and was almost disappointed to see Jonathan’s post saying that it was alive again as I was about to note it down for a visit. 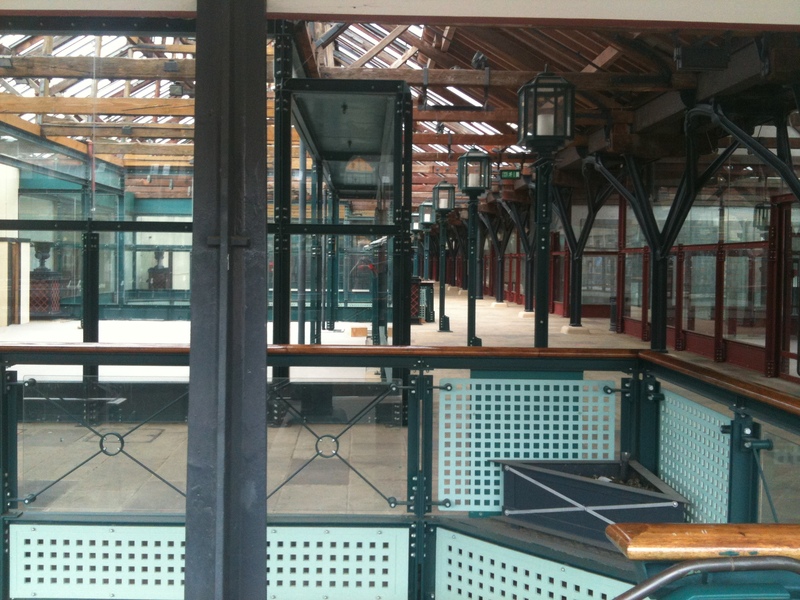 Still, it’s great news really that it’s back as an event space. 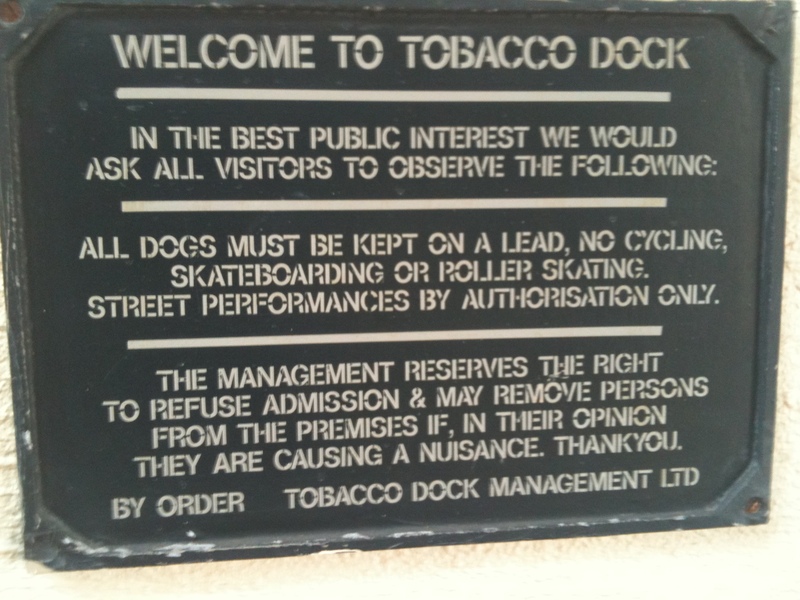 Good luck Tobacco Dock. I found myself there once without having the slightest idea what it was. Amazing, with the muzak and all. Terry Farrell, hmm, not that good with docks then. He’s about to inflict similar obscenities on London’s oldest royal dockyard at Deptford aided and abetted by the developer Hutchison-Whampoa and the insidious Murdoch. Whoever said wisdom came with age ! I liked your post. A poignant reminder that the economy relies on workers with disposable incomes. Pingback: Are you being served? I live in one of the new buildings just across the road from Tobacco Dock and actually never knew this history! (Yes i know wikipedia is a click away but there ya go). I always thought Wapping was a rather interesting place and could not for the life of me understand why News International had an office there. 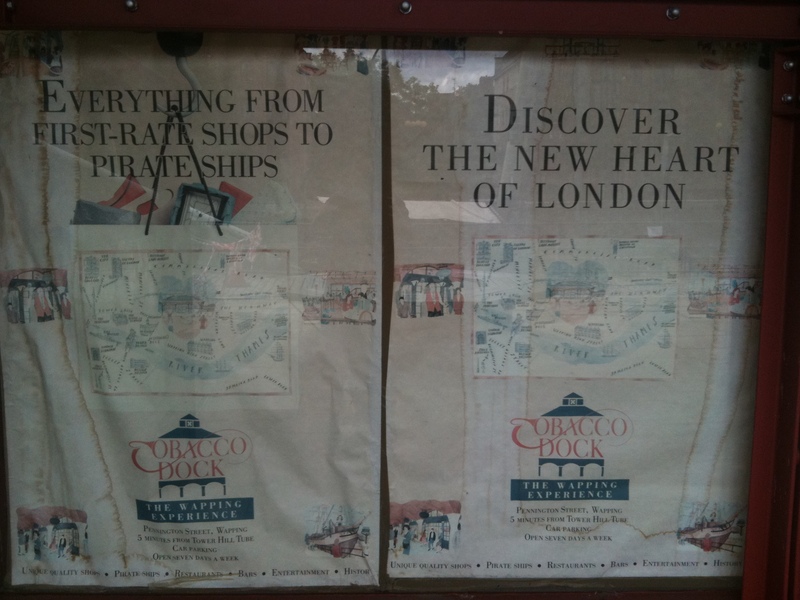 So you mean to tell me Tobacco Dock was a full blown shopping centre at some point?! It’s certainly very dead now except for the odd day there’s an event going on there. I will keep my eyes out for any events taking place there as I would very much like to see the inside of it based on your article. Great trip down memory lane. I frequently visited Tabacco Dock when it was fading but not out for the count. Note to Nemo – the dockyard at Deptford is just an ex industrial waste land. Why on earth would you argue against its much needed redevelopment? Can anybody remember a statue in tobacco dock likely say 30 years ago?